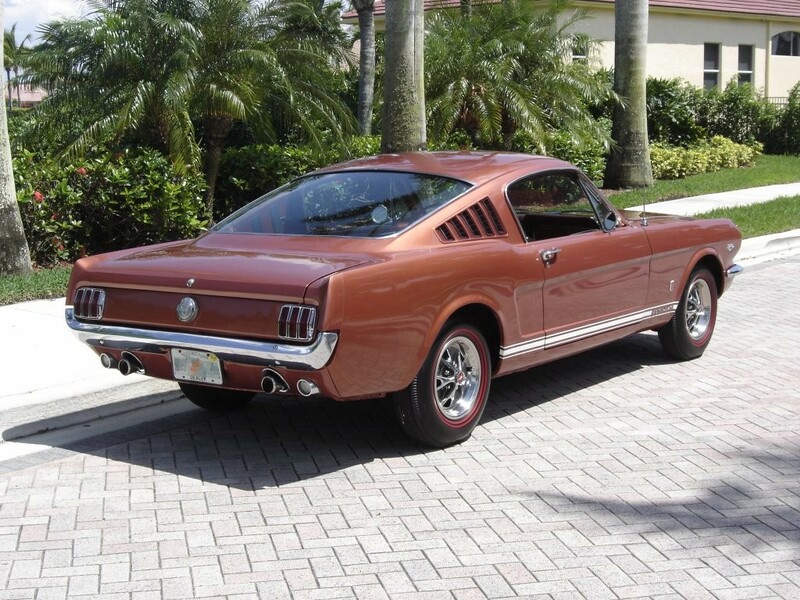 (from page 2 of the 1966 Collection) Modified 1966 Mustang GT with shaved rear quarter and dual chrome exhaust tips. (from page 2 of the 1966 Collection) Front of extensively modified Mustang GT. 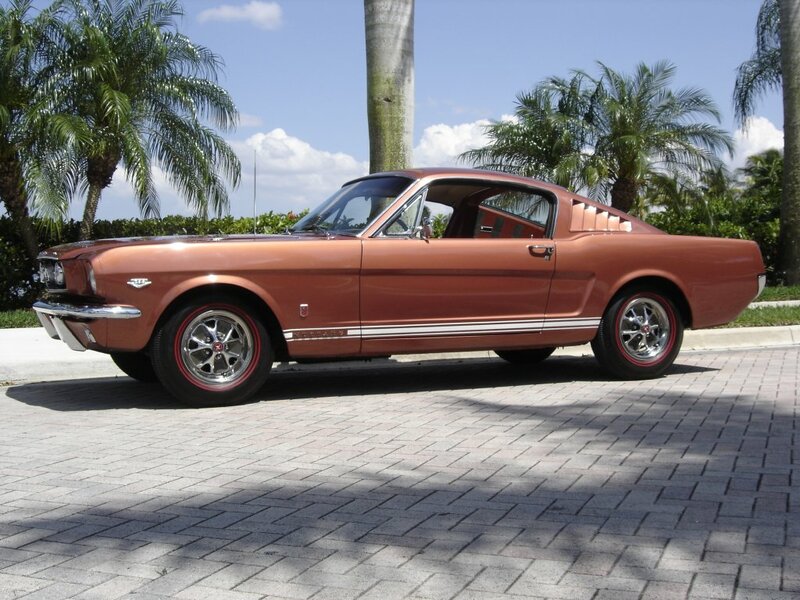 (from page 4 of the 1966 Collection) This Candy Apple Red 1966 Mustang GT fastback is owned by Mike S. of Columbia Station, Ohio. This was our featured Attitude Of The Week photo for the week starting July 12, 2009. Mike says, "I got it in 2001. I added a K&N air filter. It has a vintage correct Shelby intake with dual quad set up (Carter's). It looks and sounds great!" (from page 4 of the 1966 Collection) Those Magnum 500 wheels and black GT rocker panel side stripes are great! 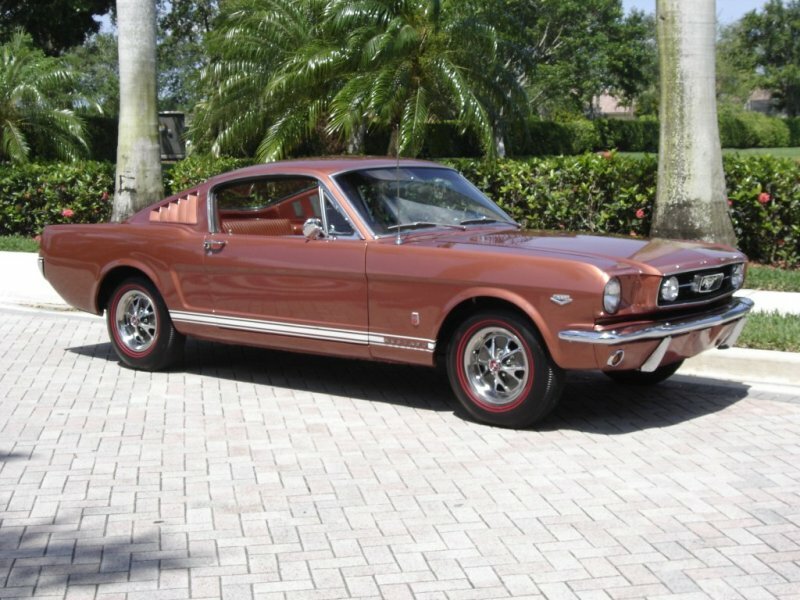 (from page 4 of the 1966 Collection) Front grille view of Mike's 1966 Candyapple Red Mustang GT. (from page 4 of the 1966 Collection) In this sunset view you can see the GT dual Chrome exhaust trumpets thru rear valance. If the exhaust is hanging below this valance, then it might not be a real 66 GT. 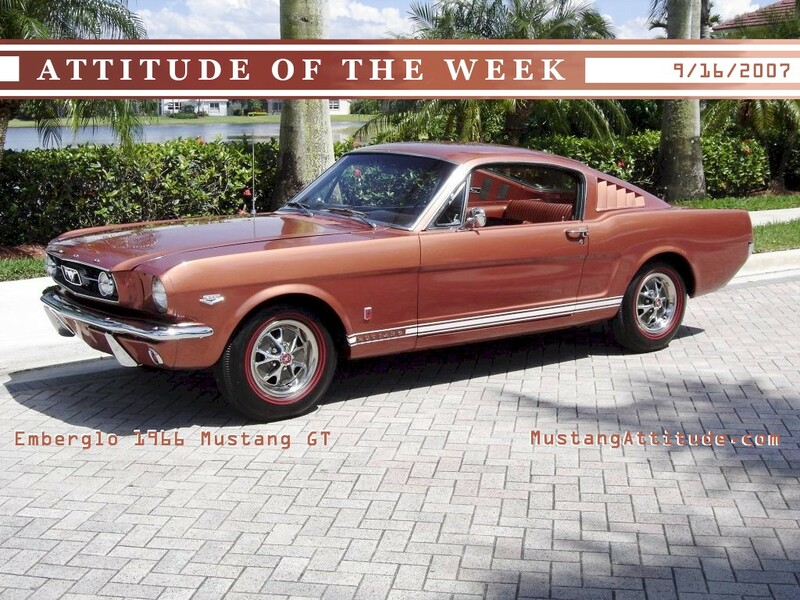 (from page 5 of the 1966 Collection) This Candyapple Red 1966 GT fastback is our Attitude Of The Month for August 2010 and was featured on our 2010 Mustang Calendar. (from page 5 of the 1966 Collection) This Emberglo 1966 Mustang GT fastback with K-code engine was the Attitude Of The Week for 9/16/2007. The GT package was very popular in 1966 because the option sold for $152.20 and included the high-performance 271hp (at 6000rpm), 289 cubic inch, V8 engine; dual exhaust; fog lamps; special ornamentation; disc brakes; GT racing stripes and handling package components. This Mustang shows off its Red Band nylon tires which was a option for $48.89, and styled steel wheels for $93.84. This photo is available in two wallpaper sizes; 800-600 wallpaper and 1024-768 wallpaper. (from page 5 of the 1966 Collection) Left front view of the Emberglo 1966 Mustang GT. This photo is available in two wallpaper sizes; 800-600 wallpaper and 1024-768 wallpaper. (from page 5 of the 1966 Collection) Left side view of the Emberglo 1966 Mustang GT. This photo is available in three wallpaper sizes; 800-600 wallpaper, 1024-768 wallpaper, and 2048-1536 wallpaper. 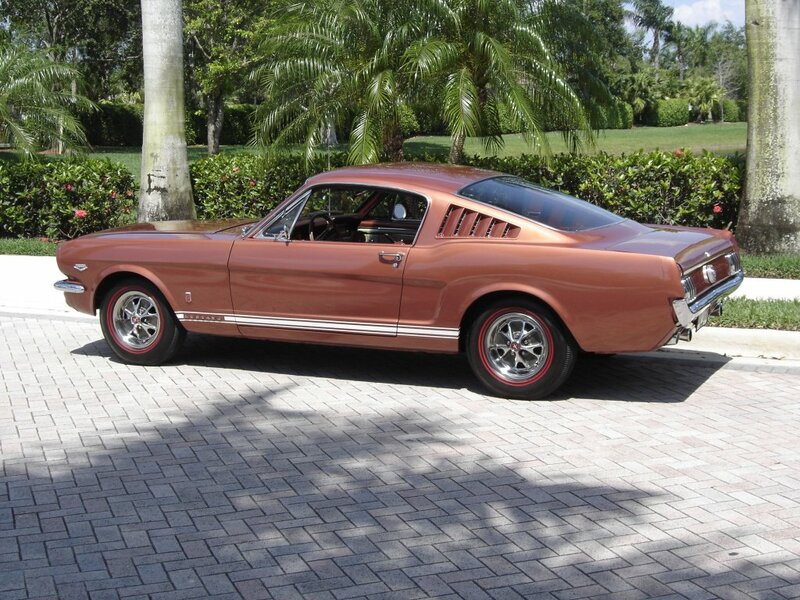 (from page 5 of the 1966 Collection) 1966 Mustang GT in Emberglo paint, left rear view. This photo is available in two wallpaper sizes; 800-600 wallpaper and 1024-768 wallpaper. (from page 5 of the 1966 Collection) Rear view of the 1966 Emberglo Mustang GT showing off its dual exhaust. 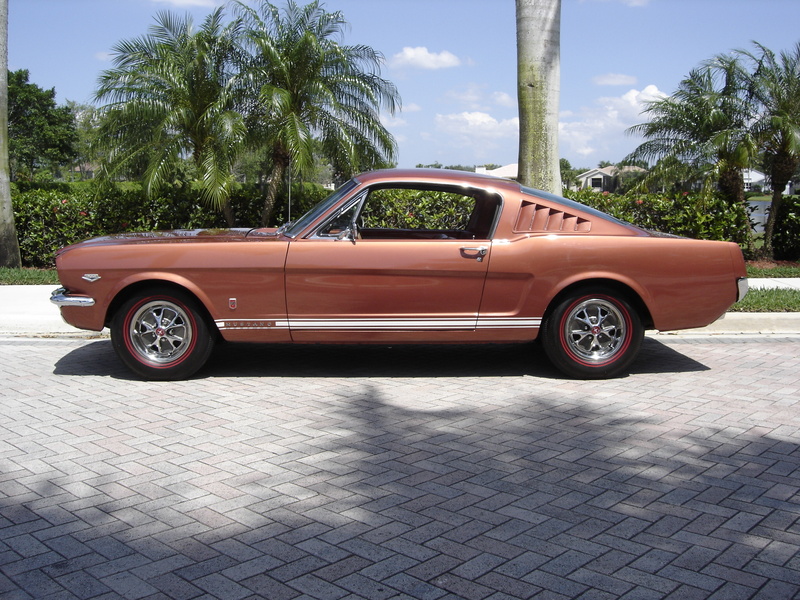 (from page 5 of the 1966 Collection) Rear right view of a 1966 Mustang GT in Emberglo paint. This photo is available in two wallpaper sizes; 800-600 wallpaper and 1024-768 wallpaper. (from page 5 of the 1966 Collection) Right side view of the Emberglo 1966 Mustang GT. (from page 5 of the 1966 Collection) 1966 Emberglo Mustang GT, front right view. This photo is available in two wallpaper sizes; 800-600 wallpaper and 1024-768 wallpaper.